Now that the holiday season is here, you might be wondering what gifts to purchase for the trucker in your family, trucker friends or truckers who work with or for you. And you might not have a lot of time to shop around. Travel coffee cups, keychains, T-shirts and trucker caps are nice, but they can get a little boring year after year. This year, instead of rushing around last minute, check out these five trucker gifts that will stand out among the same old, same old. And the best thing? You can buy them online! The cab of a truck is basically a trucker’s office. 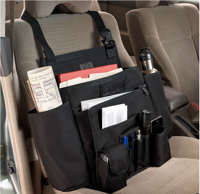 Help your trucker stay organized with the five-star rated Cab Commander from Duluth Trading. This versatile organizer buckles securely to the passenger seat and keeps everything close by that your trucker might need throughout the day. There are numerous pockets, including a roomy pocket for laptops or tablets, cellphone pocket and a side pocket for a Thermos. This versatile insulated 30 ounce, 8-piece stainless steel travel mug set is great for both hot and cold drinks. 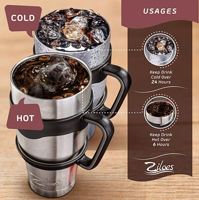 It will keep drinks hot for 6 hours or cold up to 26 hours. The mug is ergonomically designed and great for use while driving. A sliding lid and a regular sipping lid, along with reusable steel straws and straw cleaning brush are included with the mug. You can find this 4.5 star-rated mug on Amazon. Spending days away from home can leave a trucker longing for some comfort from home. 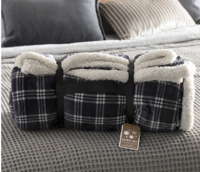 For those cold nights, the 4.5 star-rated plaid Northpoint Nordic Soft Sherpa Blanket from Walmart is a thoughtful gift that can bring comfort to your trucker. It conveniently rolls up with its straps and can be carried by its handle. 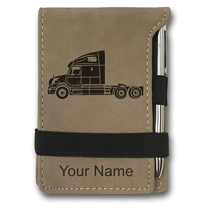 Another thoughtful gift for the trucker in your life is the Personalized Engraved Mini Notepad with Truck Cab Graphic from Amazon. This 5-star notepad is small enough to fit in a pocket when not in use and stays neat with its built-in elastic strap. Storms can pop up anywhere, at any time. 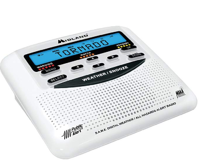 Available from Amazon, the Midland WR-120 NOAA Public Alert-Certified Weather Radio, will notify your trucker immediately of nearby hazardous weather, including tornados, severe thunderstorms and flooding. This thoughtful 4-star rated gift does double duty as an alarm clock, too. 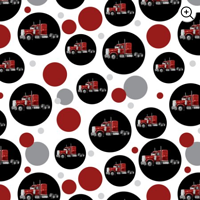 No trucker gift would be complete without Semi Trailer Truck Design Premium Wrapping Paper. This fun wrapping paper is sure to get a smile out of your trucker. You can order this wrapping paper online through Walmart. 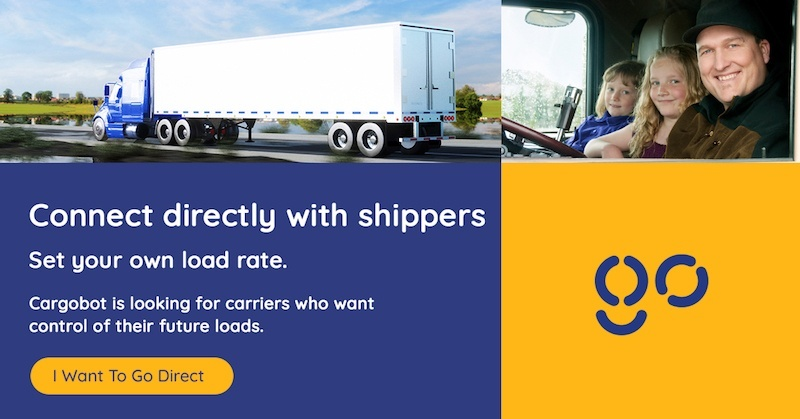 The team at CargoBot would like to take this opportunity to wish our carriers Happy Holidays and a happy and healthy New Year.